Authors can now sign up to appear on the Read Tuesday author page. In addition to images, you’ll be able to provide a little other information, like a brief description. First complete (at least) one other form to sign up (at least) one of your books, and then you can fill out the form to appear on the author page. As soon as we have a good number of participants, we’ll begin posting authors on our website. So the sooner you sign up, the more exposure you’ll get. The Read Tuesday page was popular. Readers like to see which authors will be participating. Other authors like to see who else is participating. It’s your chance to get Read Tuesday readers and gift-givers interested in you and your books so that when Read Tuesday rolls around, they are looking specifically for your book(s). 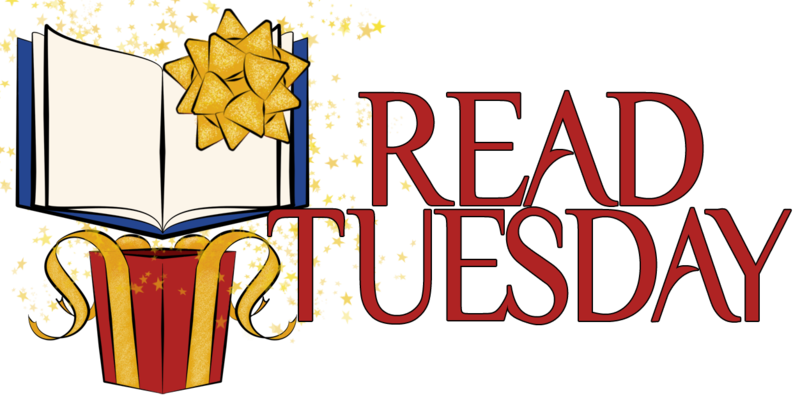 ← What do you think about the new Read Tuesday image? Done. Though I always have trouble with author bios. Thank you, Lightning. 🙂 I agree. Bios and blurbs are tough. Reblogged this on S.K. Nicholls. May I confirm that you have received my book details? Authors don’t forget to follow through with READ TUESDAY! Spread the word. Check out the website and add a READ TUESDAY logo to your site! Sign up one of your book(s) on READ TUESDAY! Sign up to appear on the READ TUESDAY author page! It’s coming to an internet near you soon! That checklist is actually for myself. I haven’t gotten underway with any of it yet. On my to-do list this week! Lol! Sharing this on Twitter! What a great idea! I have a book coming out in January. When can I sign up for that month? Thank you. 🙂 Presently, Read Tuesday is an annual event, though we have run a few Tuesday promotions leading up to this year’s event. We might have occasional promotional opportunities before Read Tuesday, 2015, but at this time, that’s undecided. Good luck with your book. Okay, so it’s only on the December date so far, correct? Yes, Read Tuesday comes once a year (in December), like Black Friday and Cyber Monday (but on a different day). Awesome! I’ll be watching for it next year! Chris, I am trying to fill in the Create space discount promotion form. When I get to the isbn number, it will not take the number for two of the three books that I am submitting. Checked them about twenty-five times. Any idea how to fix this? The rest of the form is fine. I just double-checked this question on the form, and it should only prevent you from submitting your ISBN if you have more than 13 characters. If you included the hyphen(s), try deleting them. Otherwise, you can send me the info using the Contact Us form on the website and I’ll add it manually.